Government's cavalier treatment of what last weekend loomed as a major threat to our cultural self-esteem conjured up in my mind, images of the type of disdain with which its colonial antecedents regarded indigenous arts. We're not here looking at degree, but set against events that took place on February 27, 1881, the subliminal message received by those who respect the achievements of our best steel orchestras was equally inappropriate. On that weekend 120 years ago, Government sponsored atrocities against Camboulay Festival drummers were unleashed by Captain Baker, a British police chief ordered to action by a cadre of local elite historically suspicious of autochthonous culture. Nor was malice aforethought reserved exclusively for descendants of slaves. In 1884, the first weekend of November was also a time of anguish, those tears for offspring of indentured servants lost to another police massacre at Hosay, a religious observance of Muslim origin driven by drumming. These thoroughly reprehensible acts were cleverly categorised as self-defence by colonial historians, who described them as �riots� implying some degree of organised resistance from victims of blatant police brutality whose greatest crime, hindsight insists, was staging street processions propelled by the beating drums. But those barbarians were inflicted by an imported military who, like the parasitic oligarchy to which it pandered, never so much as feigned appreciation of our artistic and cultural expressions. Like any other perceived threat to colonial security, the native penchant for slapping the skins was conclusively dealt with from first hint. 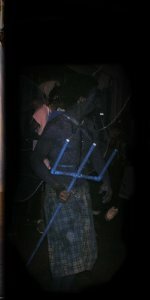 Although large-scale physical repression of drummers by enforcement agencies subsided in the 1950's, up to last year during an Independence night confrontation with police, then Finance Minister Brian Kuei Tung slimly avoided arrest for merely insisting his steelband should be allowed to celebrate the holiday with peaceful street dancing. 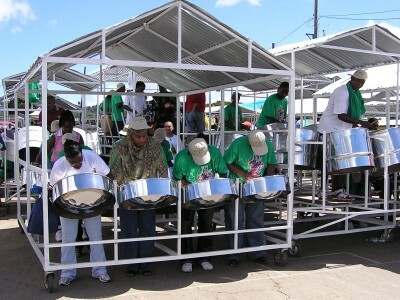 The lingering perception by pan aficionados that residual pockets of psychological warfare against them still exits could not have been helped by Government's supercilious reaction to last weekend's problem of transporting steelpan instruments and players to Grenada for the inaugural Caribbean Panorama Championship. Knowing the implications of rescinding an agreement with Pan Trinbago to transport the drums and performers last Saturday by the ferry Beauport, Government reneged anyway, sending all the wrong signals to local steelbands, whose roll call is currently dominated by youth, a significant percentage of which is female. Were it not for the determination to salvage national pride by Pan Trinbago President Patrick Arnold and Ainsworth Mohammed, manager of the Exodus Steel Orchestra, this country would have lost by default any chance of a shot at the highly marketable title. And let the crime statistics show that Mohammed's car was stolen while he toiled to rescue our integrity. Evidently, last year's experience with the World Steelband Music Festival playoffs, at which Switzerland's Panch 2000 outshone all comers on opening night, did little to dismantle local myth about inherent Trini supremacy at playing pan. American tenor virtuoso, Andy Narell and Japan's multi-instrumentalist, Yosho Harada, have long exploded such parables. Having invented pan, it seemed logical that Trinidad and Tobago would go the extra mile to retain that fame and glory, at least on the first occasion a regional title came up for grabs. Instead, Government blithely dismissed the social, political, psychological and marketing value of a Trini presence at the contest, only acknowledging the problem it had earlier created, after the determined duo of Arnold and Mohammed set out to devise alternative strategies for getting the orchestra to Grenada. Worse, State-hired spin-doctors then had the temerity to request of Pan Trinbago, a public statement to the effect that it was the Transport Ministry who saved the day. It must be that we gleaned no fresh intelligence from last year's shattered assumption of eternal invincibility. Still, we laugh away all challengers, even when top-drawer Trini pan talent is busy assisting orchestras from competing territories. One of two steelbands coming out of Barbados had the good sense to retain Jit Samaroo whose skills have, on nine occasions, taken the formidable Renegades Steel Orchestra to victory at local Panorama competition. In case the math continues to elude Government officials, Samaroo's string of triumphs makes him by far the most successful musical arranger in the 38-year history of the local contest. Come Saturday, he will be working with Barbadian steelband, Semi Quavered, an orchestra that plans to field the maximum 65 players, from an island that can safely boast more trained musicians per square mile than Trinidad and Tobago. Have we, in usual swashbuckling fashion, also forgotten that at last year's World Steelband Festival, an ensemble from another competing band - St Lucia's Piton Diamond Steel-came in ahead of a similar group from reigning Panorama champions and joint 1998 Steelband Music Festival winners, Exodus? It would be signally naive to view the December 1, Caribbean Panorama Final with self-annointing predictions, particularly those developed in a vacuum. Already deprived of home advantage, Saturday's contest of orchestral pan music pits us against territories with undeniably greater motivation to win, a boost further enhanced by overt gestures of moral and tangible support from their respective Governments. My view is that our entrants, Exodus and ten-time local winner Witco Desperadoes certainly deserved no less.